For nine weeks each summer, Camp Fletcher is alive with activity; from campers swimming and hiking, to counselors bonding and the kitchen staff hard at work preparing meals, we know that everyone works hard and plays hard for those few short weeks each camp season. During summer camp, our counselors and staff have the opportunity to teach and enrich the lives of each and every camper, and we know those months can be some of the most memorable times of a camper’s life. Come August, however, our campers and counselors return to school and Camp Fletcher settles down a bit. Our staff is still hard at work preparing for events and the next camp season, but the lessons taught at Camp Fletcher will stay with our campers all year long. At Camp Fletcher, there are no worksheets or math problems, and the classroom spans 300 beautiful wooded acres. Our campers learn – that’s for sure – but it’s hands-on, life skills learning. A summer at Camp Fletcher is full of enrichment, and it’s a wonderful opportunity for future educators to counsel and for students to learn in a whole new way. 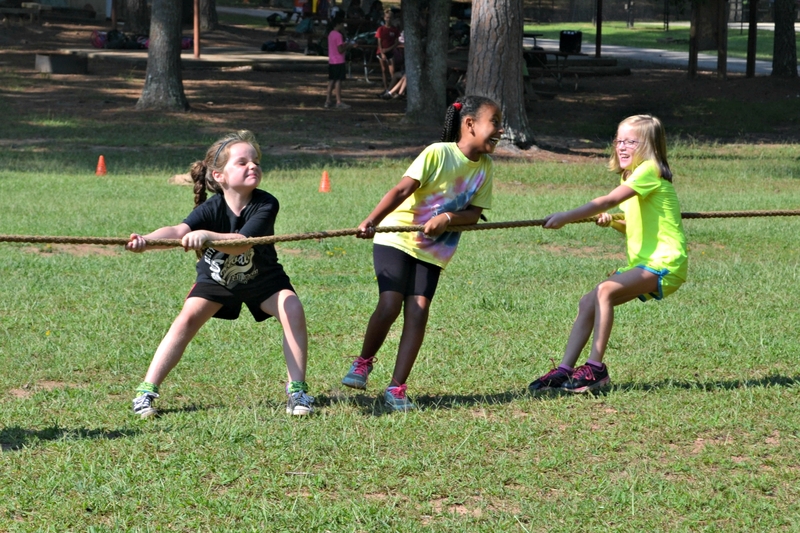 Camp activities focus on athletics, art, and outdoor adventure, but the learning that children gain through these activities develops and strengthens their 21st-century, character, and other noncognitive skills. The vehicle we use is the camp experience, and the primary teaching method we use is experiential education. Campers are only here nine weeks, but they’re in school for nine long months. We believe, however, that the skills they learn in those short weeks will stay with them, shape them, and prepare them for success in whatever they do until camp starts next year. Each summer, we see amazing transformations in our campers. In fact, according to the American Camp Association, parents who send their children to summer camp report that the camp experience helped their child feel good about themselves, gain more self-confidence or self-esteem, increase in independence and show more leadership skills, increase their friendship skills and feel more socially comfortable, and gain in their adventurousness and willingness to try new thing. Our goal is that campers don’t just learn these skills, but that they apply them in the classroom, on their teams and in clubs, and with their friends. As we end another amazing summer at Camp Fletcher, we hope you’ve seen positive changes in your camper. We know the skills we’re teaching each summer can positively impact their experiences outside of camp – and that’s a pretty great reason to come back summer after summer. Previous Article Parent Testimonial – Jennifer M.
Next Article Parent Survey Contest Winner!